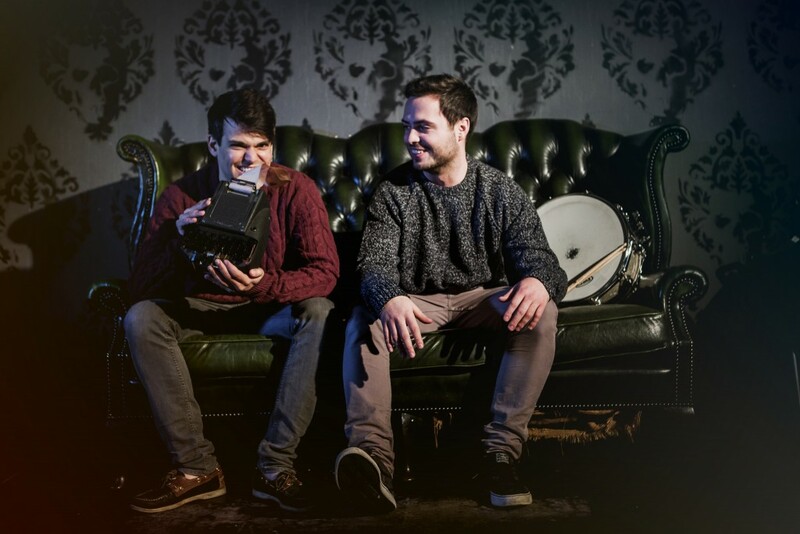 UK indie pop duo, Holy Pinto, have announced their debut full length, Congratulations, due out April 8th via Soft Speak Records. Recorded with acclaimed producer Bob Cooper (Nai Harvest, Citizen, Self Defense Family) Congratulations is a heartfelt tour de force of undeniable hooks and startling honesty. The album finds Holy Pinto diving head first into pop song-craft hinted at on their earlier work, while maintaining a healthy dose of grit from their punk roots. To celebrate the announcement, Holy Pinto have teamed with Upset Magazine to premiere the music video for “Matches” the opening track from Congratulations. 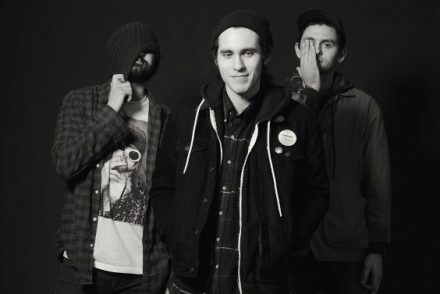 The video pairs the triumphant song with footage of the band in the studio, crafting their soon to be released debut LP. Holy Pinto is the charming indie-pop band of Canterbury duo Aymen Saleh and Ryan Hurley. In late 2013 after leaving University, the long-time school-friends rented a dark, damp, ominous room in an old abandoned cotton-mill in Manchester, and took to writing and recording music. After putting some demos online, they released their first official EPStenography in 2015 and started touring heavily behind it; building the foundations of a passionate, loyal following and a family of friends in the process. They now turn to release their debut album Congratulations. Built on the foundation of Aymen’s bright, shimmery rhythm guitar coupled with Ryan’s uniquely commanding, creative, and dynamic drumming, Holy Pinto are a very lyrically focused band that balances engaging storytelling with more than a hook or two. Recorded with Bob Cooper (Nai Harvest, Citizen, Title Fight) and sent over to Philadelphia to be mixed by Vince Ratti (Tigers Jaw, Title Fight), Congratulations is at a heart a gritty, punchy album with a smooth, pop sheen. The production offers smatterings of organ, trumpet, keys and harmonies, which fulfill the sound they have always hinted at. Holy Pinto’s songs quickly shift tone between happy and sad – none more evident than the distinction between songs such as the chirpy and playful “Tooth,” and the dark thoughts of “Hospital Room.” The storytelling and lyrics always emotive and wistful – whether painting a picture of two people reluctantly falling in love (“Matches”) or vocalising familial conflict (“Phantom Limb” and “Elliott”) – it is a very dreamy and tender album. On the album’s title-track “Congratulations” – Aymen questions the young adult choice between putting down roots and close relationships, or pursuing the urge to ramble – “Every pin up on the map on your wall, is it worth letting lovers go?” Perhaps they’ve have chosen the latter – with the release of the album they’ve always wanted to make and a love of touring and traveling, they will now take to the road to spread the gospel according to Pinto in 2016 and well beyond. 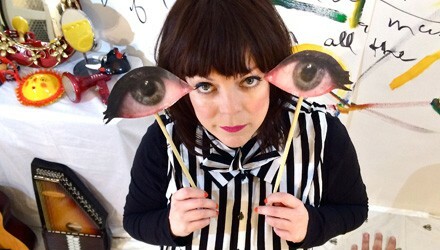 Piney Gir releases ‘Keep It Together’ video!